Is it hard to be in real estate? We asked real estate professionals across the country that very question to get a sense of what the challenges are for agents who are new to the business. Is it hard to be in real estate? Here are some of the top insights we learned and strategies for how to tackle these challenges. What to do about it: Sharpen your budgeting skills so your finances are in order whether feast or famine. It’s also helpful to have money in reserve before you jump into a new career, so you have savings to draw from while you’re learning how much you will earn as a new agent. We’ve put together a list of costs to consider when starting a real estate business to help you. When we asked Gurner, “is it hard to be in real estate?” she had another challenge to add: you have to run your own business. What to do about it: These are business skills that take practice to sharpen, they don’t come overnight. We recommend finding a mentor and reading blogs for new agents that can help you develop. Start your dream career in real estate now with our free Career Switch Kit. Is it hard to be in real estate? 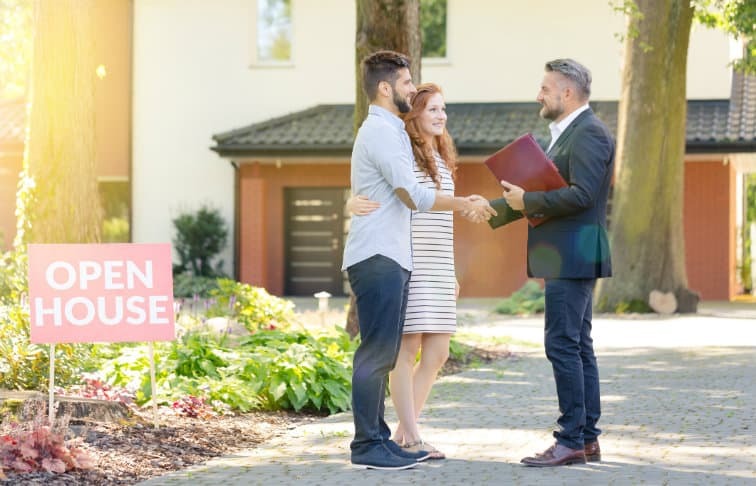 According to Lucas Machado, co-founder of House Heroes Realty LLC, there are two major obstacles he has faced and overcome in his own personal real estate journey. What to do about it: Here’s how Machado has overcome this aspect of the real estate business. “Make sure you are fully mobile. Although important work may have to happen, as long as you are equipped with a laptop or tablet you can make yourself available any place. Next, hiring help goes a long way. Include in your budget some help with showing or visiting properties. It’s very common to need to check on the houses you are working – but you don’t have to be the one to do it. Another aspect that Machado mentioned when we asked, “is it hard to be in real estate?” is the compulsion to work all the time. Here are his thoughts on that need and how he’s addressed it in his business. What to do about it: It’s not all doom and gloom when you become a real estate agent. There are ways to address this feeling of constantly needing to work. Here’s what Machado does. “Hiring a virtual assistant is a great way to reduce administrative workloads. There are plenty of assistants that are happy to work from home for relatively low costs. They can review listings, make phone calls and process data. I’ve trained my personal virtual assistant for a year now and she is an indispensable part of my business. Something many agents mentioned when we asked, “is it hard to be in real estate?” was the people aspect of the business. Even if you like being around people, the feeling of constantly having to be “on,” especially when you deal with personalities that are much different from yours, can be draining. Here’s what Nick Oliver, from NYC’s HomeDax Real Estate had to say. What to do about it: While Oliver finds this a challenge, he’s found he can overcome this challenge by changing his outlook and seeing the flipside of it — learning how to deal with different personalities can bring great personal satisfaction. Just like any business, real estate has its challenges. Is it hard to be in real estate? Sometimes, yes. Yet every challenge is something new to overcome and the challenges are what make becoming a successful real estate professional so rewarding.